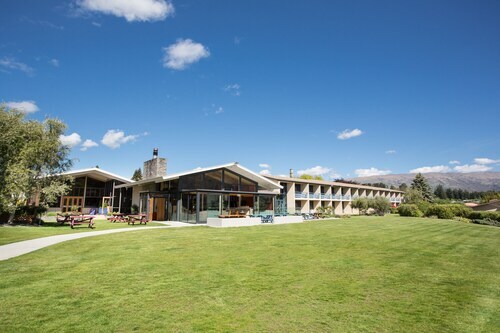 This Wanaka hotel is located on the waterfront, nestled on the beach a short distance from That Wanaka Tree, Lake Wanaka, and Rippon Vineyard. Also nearby are Pembroke Park and Picture Lounge. 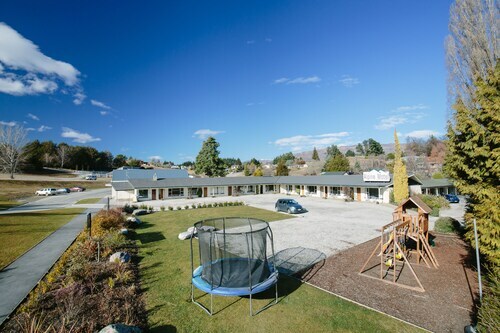 This family-friendly Wanaka motel is located in a shopping district, within 1 mi (2 km) of Wanaka Golf Club and Lake Wanaka. Pembroke Park and Gallery Thirty Three are also within 15 minutes. 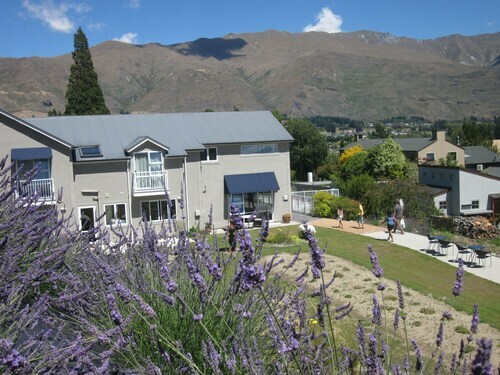 Located near the slopes, this Wanaka hostel is in the city center and within a 15-minute walk of Gallery Thirty Three, Lake Wanaka, and Wanaka Golf Club. Pembroke Park and Picture Lounge are also within 5 minutes. 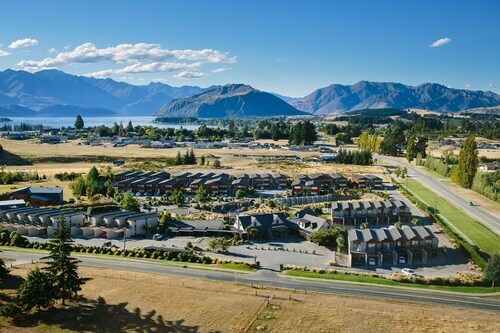 Conveniently near skiing facilities, this Wanaka apartment building is located in the mountains, within 3 mi (5 km) of Rippon Vineyard and Lake Wanaka, and close to winter sports such as cross-country skiing and skiing lessons. That Wanaka Tree and Crown Range are also within 1 mi (2 km). 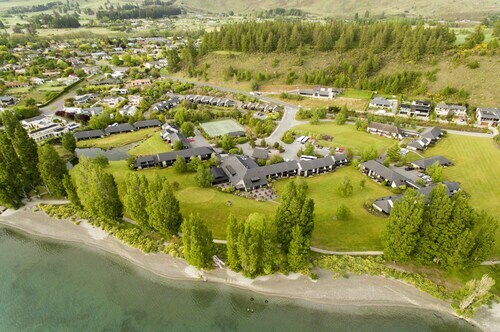 Located in the heart of Wanaka, this hotel is within a 15-minute walk of Gallery Thirty Three and Lake Wanaka. Picture Lounge and Pembroke Park are also within 10 minutes. 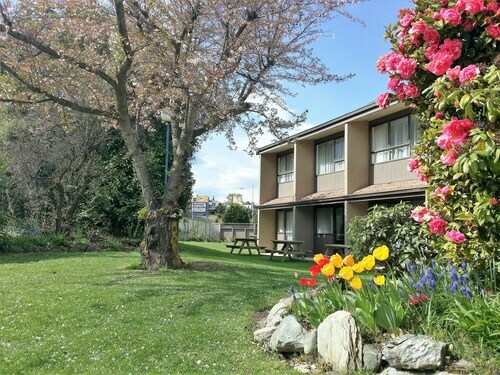 Situated in Wanaka, this motel is within 1 mi (2 km) of Wanaka Golf Club and Lake Wanaka. Gallery Thirty Three and Picture Lounge are also within 15 minutes. 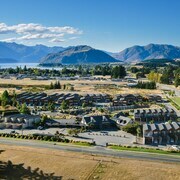 Located in the heart of Wanaka, this apartment building is within a 15-minute walk of Wanaka Golf Club and Lake Wanaka. Gallery Thirty Three and Picture Lounge are also within 10 minutes. 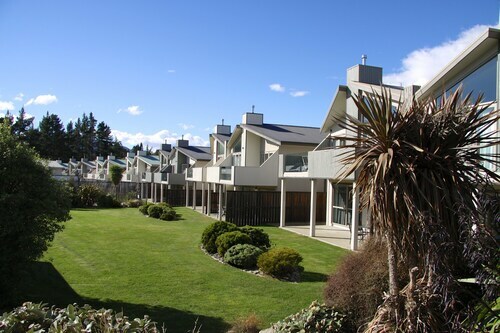 Conveniently located near the ski slopes, this Wanaka apartment building is within 2 mi (3 km) of Wanaka Golf Club and Lake Wanaka and close to winter sports such as snowshoeing and snowmobiling. Puzzling World and Pembroke Park are also within 2 mi (3 km). 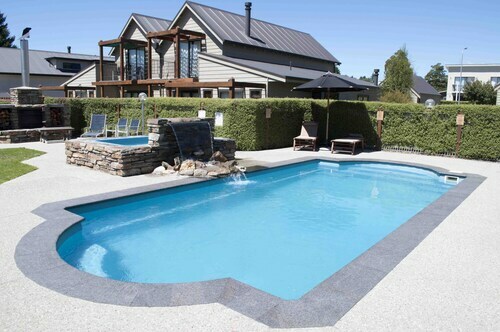 Situated in Wanaka, this luxury lodge is within 3 mi (5 km) of Puzzling World, Wanaka Golf Club, and Gallery Thirty Three. Lake Wanaka and Mount Iron Lookout are also within 6 mi (10 km). 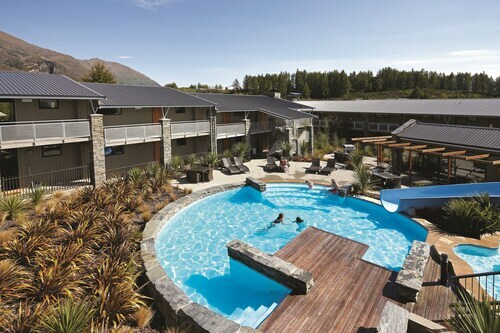 For a holiday with breathtaking scenery, down to earth hospitality and fun activities during all four seasons of the year, look no further than staying in one of our Wanaka hotels. While you're here, you'll become one with nature as you unwind from the stress of day-to-day life. 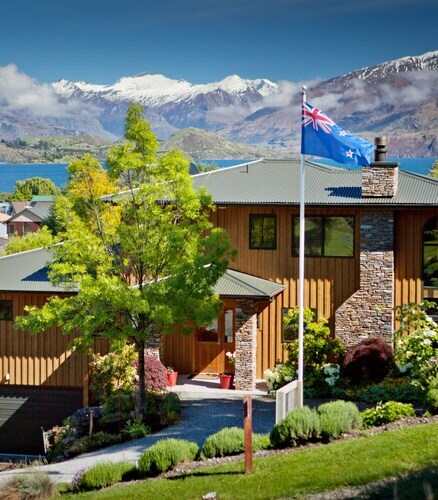 Wanaka's most famous landmark is Lake Wanaka, so this should be your first port of call when you arrive. It's the fourth largest lake in New Zealand, and very popular amongst boaters and fishermen. It's also a great place to go water skiing, kayaking or swimming in summer. There are a few fish and chip shops and gelatarias near the lake, so you can indulge in a tasty treat on the lakeshore and then, if you feel inclined to burn off those extra calories, take a walk along one of the relaxing forest tracks around the water's edge or head up to the Diamond Lake Track, an easy 2.5km walk. July to September is ski season, when snow lovers flock from all over the country, and indeed the world, to enjoy the slopes of Wanaka. Whether you're a beginner or an advanced skier, there's a slope here to suit your needs. Wanaka is also home to New Zealand's only specialist cross-country field at Snow Farm. Some of the other popular ski venues in the area are the Cardrona, Treble Cone and Waiorau slopes. No matter which season you're here, if you're really keen to get active, you can tramp through the World Heritage listed Mount Aspiring National Park and experience nature at its finest. There are plenty of hiking tracks and rock climbing spots, as well as fantastic fishing streams. The highlight, though, is picture-perfect Rob Roy Glacier and its gorgeous waterfall, so make sure you pack your camera. Over the Easter long weekend, the biennial Warbirds Over Wanaka is a thrilling event with military fighter jets performing aerial acts and mock air battle scenes, as well as aviation stalls and displays on the ground. After you've witnessed the event, you might want to visit the Warbirds and Wheels Museum, home to an impressive collection of warplanes and classic cars to make just about any guy (or girl) drool with delight. If you can't get enough of those vintage vehicles, zip on over to the National Transport and Toy Museum to see the huge private collection of antique cars and fire engines, as well as dolls, teddy bears and wind-up toys from yesteryear. If you're planning on hitting the ski slopes or hiking through the forests, most hotels offer shuttle services or tour buses to get you there. However, if you want a bit more independence while you're here, you're best off hiring a car. 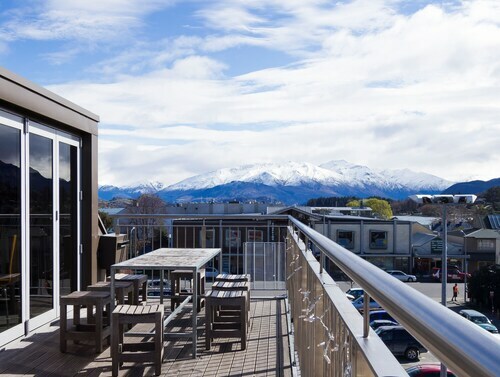 So, make sure you get in quick and book your hire car, as well as one of these cheap flights to Queenstown. 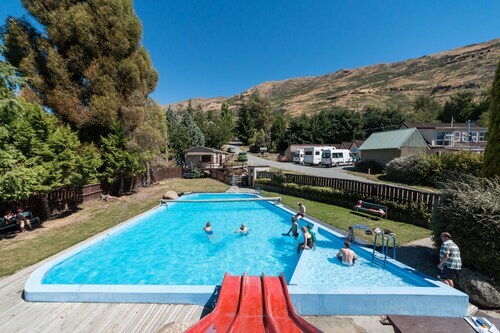 The drive from Queenstown Airport to Wanaka is only an hour and if you're keen to visit some of the nearby towns, Cromwell is only half an hour from Wanaka and Alexandra is about an hour away. So wot are you waiting for? Book your flights and Wanaka accommodation with us now, so you can start enjoying the natural beauty of Wanaka as soon as possible! 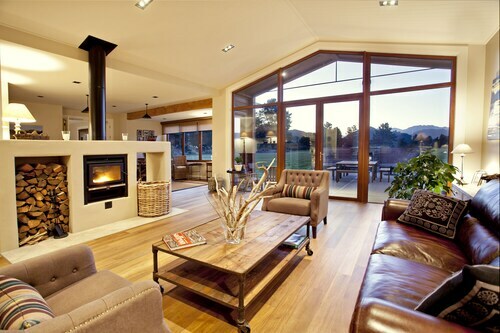 How Much is a Hotel Room in Wanaka? 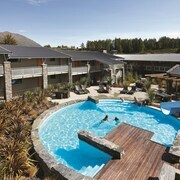 Hotels in Wanaka start at NZ$116 per night. Prices and availability subject to change. Additional terms may apply. We enjoyed our stay, room was warm, kitchen facilities were adequate, showers and toilets were clean, kids loved the play park! !